If you didn’t already know who was/wasn’t in your corner, PUBLICLY going through a crisis or tragedy will surely help you identify the weeds in your garden. Everyone knows I’m furloughed, it’s no secret. It’s one thing to fall flat on your face when you knew you were intentionally walking down a dangerous, forbidden road. But man let me tell you, it’s something completely different to find yourself in the middle of a crisis that was inflicted upon you, over which you have absolutely no control. So here we are on day 30...an entire month that I have been home with no work and no pay. As I stood in my kitchen prepping meals for the week, it just dawned on me. I have not heard a single peep from some of my closest friends and family. Not a hello, how are you, I’ve been watching the news (and your Facebook page 👀) and wanted to know if you’re impacted, I’m praying for you. Not even a call to check on the children. Nothing. How am I just noticing this on day 30? Well the answer is quite simple...I’ve been too busy and too blessed to even notice their absence. I for one, never expect anyone besides my husband and myself to take care of our immediate family. Even when my sister was murdered and family rallied around us promising to be our village for her children...my husband Edwin and I still had no expectations. We knew at the end of the day the buck would always stop here. We are what we’ve got. We are grown, able-bodied adults with sound minds and many skills. We both have graduate and post graduate degrees. We made the choice to live this life and build this family. And together, with God as our anchor and our primary strength, we know we can do anything! Here is the moral of this story...expectation births disappointment. Don’t wanna be disappointed by anyone, eliminate your expectations of them. At the same time open your mind and your heart to receive. Because in times of crisis, if you are willing to expand your purview, you will also realize that God ALWAYS provides! And He will use thee most unconventional ways and people to do it! The people you least expect to hear from will reach out to you...old friends whom you haven’t seen in ages, long distance family whom you haven’t talked to in a while, neighbors who notice your car has been parked at home in the middle of the day, church friends who are eager to pray your misfortune away, sorority sisters and fraternity brothers who instinctively hold you up through the bond on the strength of the shield, colleagues who are just as broken down as you are yet checking in to see how you’re doing and exchanging survival strategies. The places you least expect to be blessed by will pour out blessings...restaurant and business owners offering free food, goods and services, banks offering loan forbearance and deferment, the realization that you can cut back on monthly expenses and go without so many unnecessary things. The epiphany that even in the midst of tragedy you can celebrate and be triumphant...not having to use leave hours for personal business and getting things you need to get done, unlimited time with friends and family, an opportunity to get back into the gym and focus on your health and fitness. Because I have talked to many furloughed feds who are in the same situation, I also know I am not alone. May you all be comforted in knowing you have a village of people who understand how you’re feeling and what you’re going through. No matter how lonely this walk may some days feel, know that you are NOT alone. Let’s continue to support and uplift one another through this and come out better and stronger on the other side. Don’t worry about who ain’t there for you because together, surrounded by the people who wanna be there and know that LOVE is an action word, we are enough! We are a resilient people and together we will get through! We say what we won’t do, but we often times we underestimate are own capabilities. So what is the relevance of grief to actions? Well its quite simple, because loss in life is normal and we are so busy with our regular activities and schedules, we are so busy just trying to make it to the next weekend we forget to stop and smell the flowers, but more importantly we miss out on the life lesson. 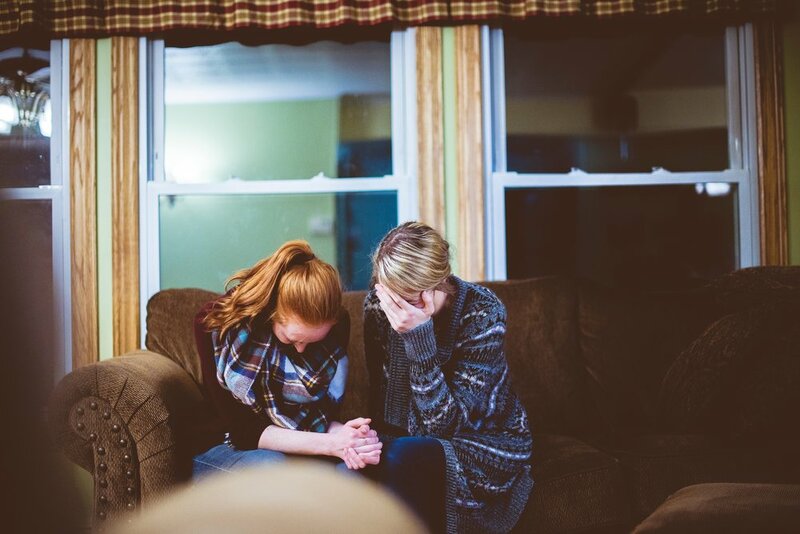 To be clear, grief is the state or the process one undergoes when they experience a loss. We often associate this with physical death, but we never explore how this looks when we stop speaking to a close friend, a bad break-up, the cousin who betrayed you, or the absence of a caregiver. Our culture is built on the notion of people entering and exiting our lives. In loss, we have hopes of an afterlife or the chance to rebuild and grow. But that does not happen unless one is prepared to explore who they were before, and who they are now. There is something humbling about the grieving experience. For some, it opens up suppressed pain, for others the notion of guilt (What I haven’t done? or How I could have made it better?) is consuming. Whatever the dominate feeling may be, there is no better time to pull back and start “checking yourself”. When we are victims of loss we are taught to push through, let it go, move on. In some part; this should occur. However; it’s not healthy. This causes people to think they bypassed or have fully dealt with the loss, but in reality the process is delayed and when it resurfaces, as it will, the plight is much worse; and usually at the most inconvenient time. Man, life is messy and complex. Through loss we find ourselves trying to make sense of what was, what is and what calls into question the very things we hold on dearly to. It takes an incredible amount of strength to examine one’s self, recognize the loss experience, and how one has been impacted. That’s not weakness, that’s fortitude. Grief, when handled correctly should force you to evaluate what matters. It should make you question the reciprocal nature of the people in your circle. It should cause you to let go of people that don’t add value. Grief will ultimately make you stronger. Kohlrabi (German turnip or turnip cabbage; Brassica oleracea Gongylodes Group) is a biennial vegetable, and is a low, stout cultivar of cabbage. Kohlrabi can be eaten raw as well as cooked. Edible preparations are made with both the stem and the leaves. Gotta love a new vegetable, check out this article from www.theKitchn.com that offers 5 tasty ways to prepare this delicious vegetable. How Should I Eat Kohlrabi? When raw, kohlrabi is slightly crunchy and mildly spicy, like radishes mixed with turnip. You can toss them in a salad, make a slaw out of grated kohlrabi, or eat them on their own with a drizzle of good olive oil and a sprinkling of sea salt. While kohlrabi can be thrown into a basic chunky vegetable soup, we particularly like it in a creamy, puréed soup with mild spices so that sweet kohlrabi flavor can really shine through. Kohlrabi can also be added to recipes for cream of potato, cream of broccoli, and even cream of mushroom soup! This is a great way to get kids to eat their kohlrabi! Shred it and mix with an egg and a few tablespoons of flour or breadcrumbs. Heat oil or butter in a flat skillet, drop on small mounds, and flatten slightly with the back of your spatula. Turn after a few minutes, and serve when both sides are crispy. Like most other vegetables, when roasted in the oven, the outside of the kohlrabi caramelizes, and the flavor sweetens and mellows. We like to toss it with other roasted veggies like eggplant and potatoes for a hearty side dish. This is kind of a cheat suggestion because kohlrabi can be used in literally anything once steamed. We throw steamed kohlrabi into frittatas, stir-fries, and pasta dishes. We also like to purée it with a little cream and simple spices. There are even recipes for stuffing steamed kohlrabi into empanadas and calzones!